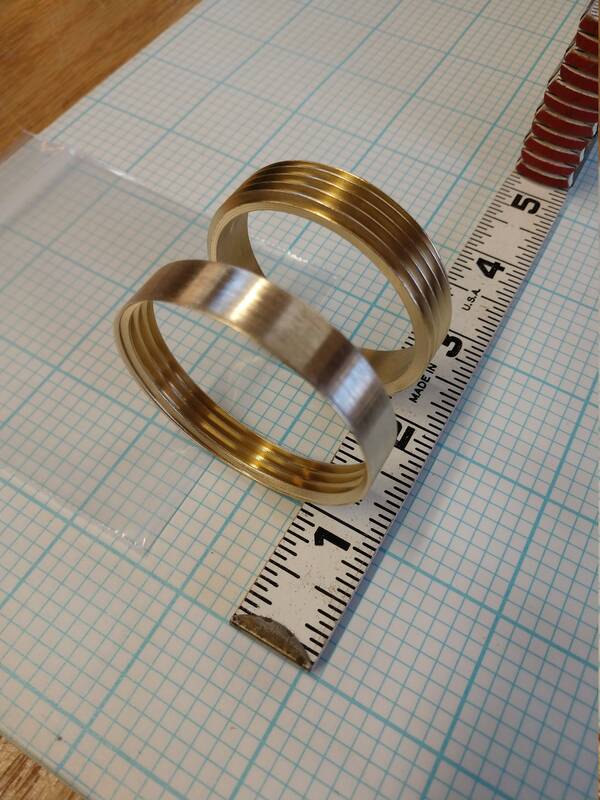 The insert set is made up of two solid brass rings, one threaded male and one threaded female. The insert opening is 1 3/4 inches which has been requested by users of the 3 inch versions, for pet urns and smaller lidded boxes. Height is approximately 5/16" and the male threads are 5/16 to 1/2". There is no flange on this version. Let us know if you have questions or would like to discuss. Like all the versions dry fit both parts before epoxy is used to glue in place, please. Over a year ago I searched for threaded inserts for our cremation urns and could not find any, so I started creating my own. Brass seemed to impart the respect needed for urns. Now I can offer them for other wood workers who need the inserts for jars, urns, or bowls. So far, turners who have seen these, have been very positive about how they came out and work. Any version performs the same function. The variation in plug shape allows for different applications as needed. 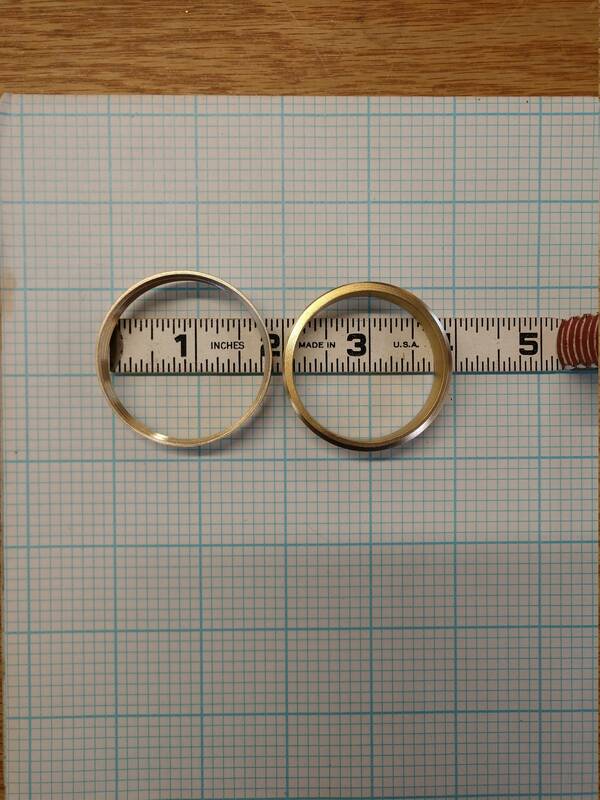 There is a lot of material removal and clean up done in order to create these threaded ring inserts. I try to remove most sharp edges, but as with any threaded metal object, there may still be sharp edges that you must be careful of when handling. The threaded inserts are made from brass plumbing parts. I have developed several steps and made jigs to create the basic types of inserts. The rough areas are cleaned up as best I can on the lathe while keeping as much material in place for strength. The height and roundness is trued up on the lathe with carbide metal working cutters. Burrs are removed with a wire wheel on the grinder. Then the piece is remounted on the lathe and the final exposed areas are sanded, leaving a brushed finished. If we discuss your needs before purchasing or before ordering another set, I might be able to remove more height, or sand to a higher grit – just let me know. Splitting and free postal costs are handled by refunds on your order placed through the Etsy site. The Etsy site does not always bundle shipments into one box as we do. This multiplies the postal costs, in multiple item orders. We create the USPS label when we box up the order and then refund the overages. Shipping fees will be refunded if buying more than one on the same order if shipped to the same address in the US. This is refunded after your purchase. 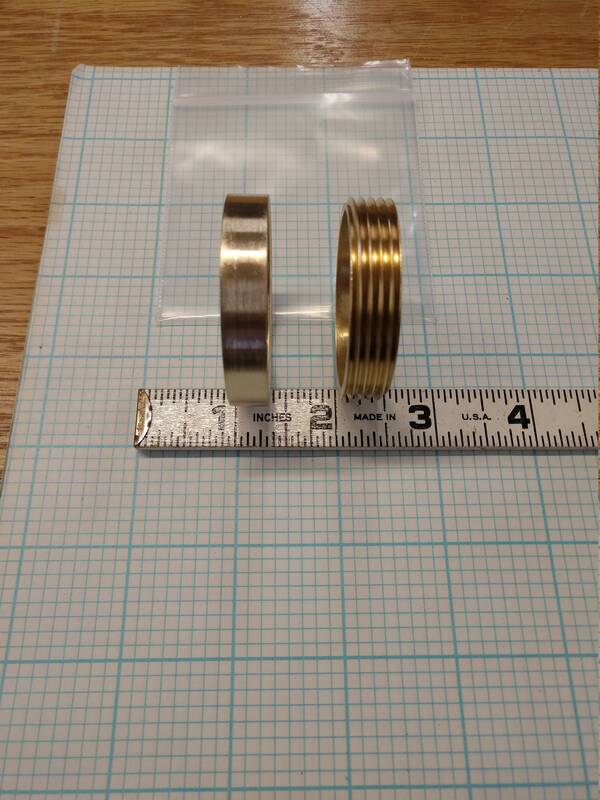 This does not apply to the polished brass engraving discs.